One of the beautiful things about having kids for some mothers is getting to play dress up and have the kids’ rock different attires. 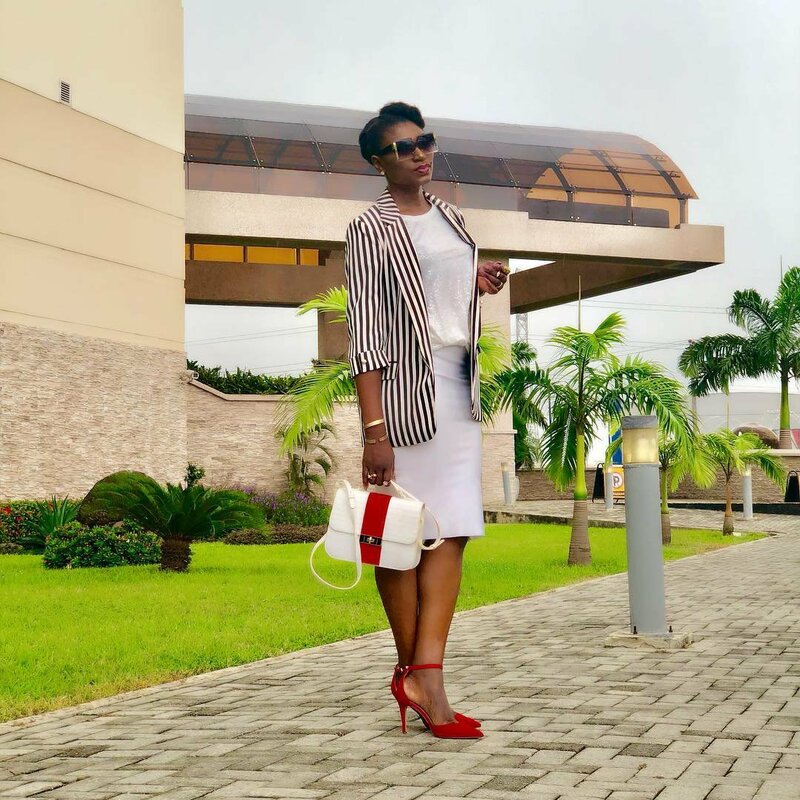 A female Nigeria celebrity has obviously been spending some time styling her kids. Popular Nollywood actress Ufuoma McDermott recently warmed up her followers to some absolutely beautiful photos of her two kids. 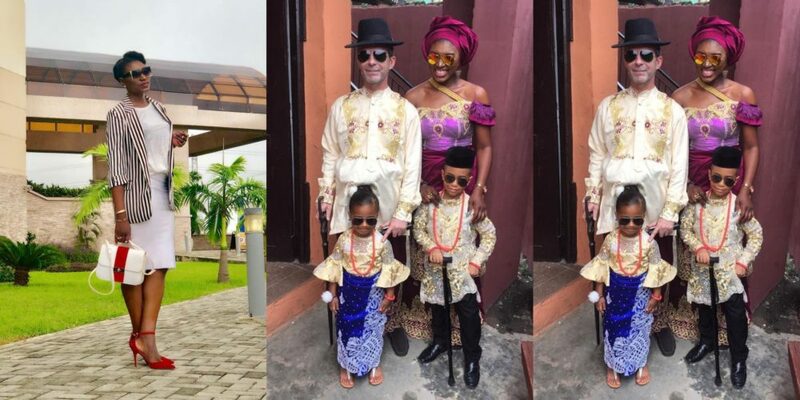 The proud mum had gotten her daughter and son issues to rock some traditional outfits. The result left many drooling over how good looking the fair skinned kids look in the traditional native attires. According to the actress’ post, the British-born children had been donned in Esan royalty themed attire in preparation to attend a wedding ceremony. 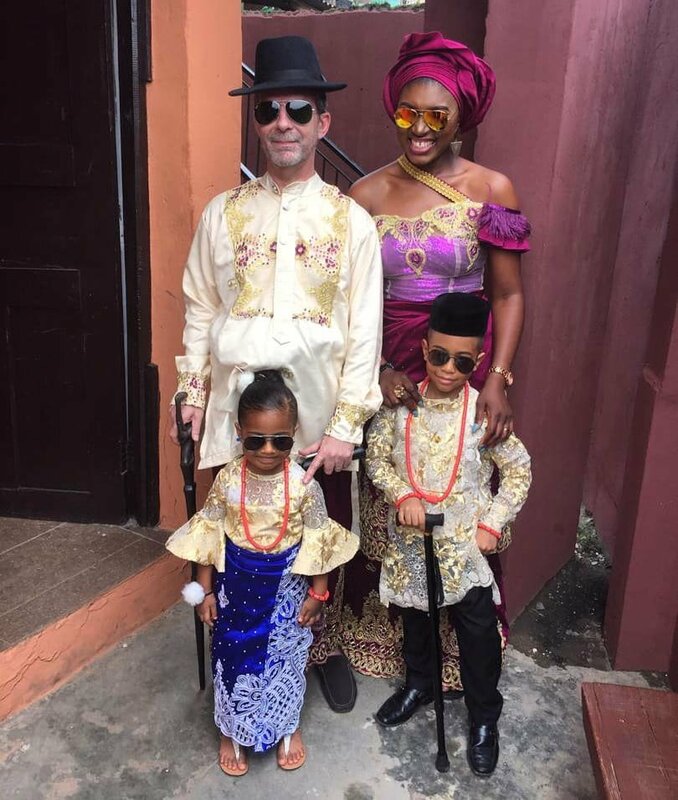 The tall and beautiful woman is married to a white man and she has been shuttling between Nigeria and abroad. Good morning good people I woke up feeling on top of the world. Project taking shape small small. More confident and gingered. 👌💪 What gingers you?